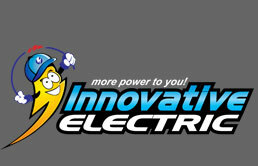 We welcome you to the homepage of Innovative Electric! Innovative Electric established in 1996 is one of the most exclusive electrical contractors in the Oklahoma City Metro area. We are a comprehensive electrical contracting company demonstrating expertise in all facets of electrical installations. Please take a moment to browse through our site and learn more about our company and the services we provide.